I know, I know. 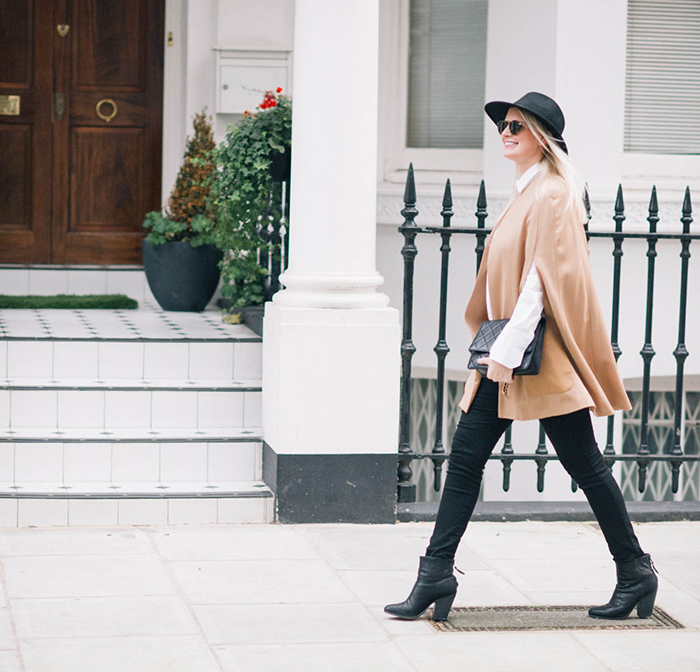 You’ve seen me wear this Jenni Kayne cape (sold out – similar here) twice already on here. I just can’t help it – it’s my fave! It’s just such a wonderful topper for so many ensembles. As I mentioned in my packing post for my London trip, each item I brought with me is dual purpose. This was the ideal ensemble for a full day of meetings – it’s comfortable, classic and chic! It also looks great worn over dresses! 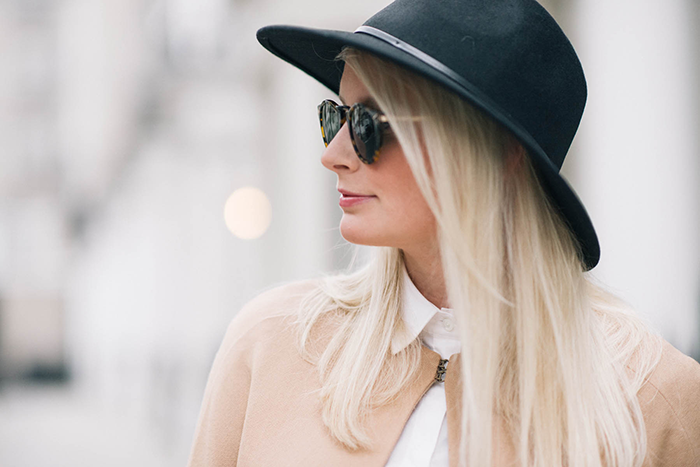 While I am re-wearing some current go-to’s in my closet in today’s post, I’m also wearing a new acquisition from London: this hat from Reiss. I have gray, winter white and burgundy hats, but for some reason I never bought one in black! Sounds crazy, right? I love this style because it’s a bit more shallow – sometimes hats tend to have such a deep cap that I feel like I’m wearing a top hat. Anyone else? You’ll love this style. It’s also available in a creamy neutral shade. Stay tuned for the best weekend sales tomorrow, pics from Paris on Sunday, and more from Reiss on Monday! Hope you all have a fabulous weekend! Beautiful outfit! I am totally in love with your cape and the hat! You look stunning! It’s good that you wear your clothes multiple times, and this cape is beautiful. Have a great weekend. Girl, wear the cape is much as you want because it’s fabulous. Love the “Ava” too. So classy & gorgeous. I adore everything about this…the colors, the silhouette, the elegance. You are such a classy lady, Merritt! Love it. I LOVE that hat and that cape! Such a classic and chic look! Your cape is so chic and I love the way you styled it! 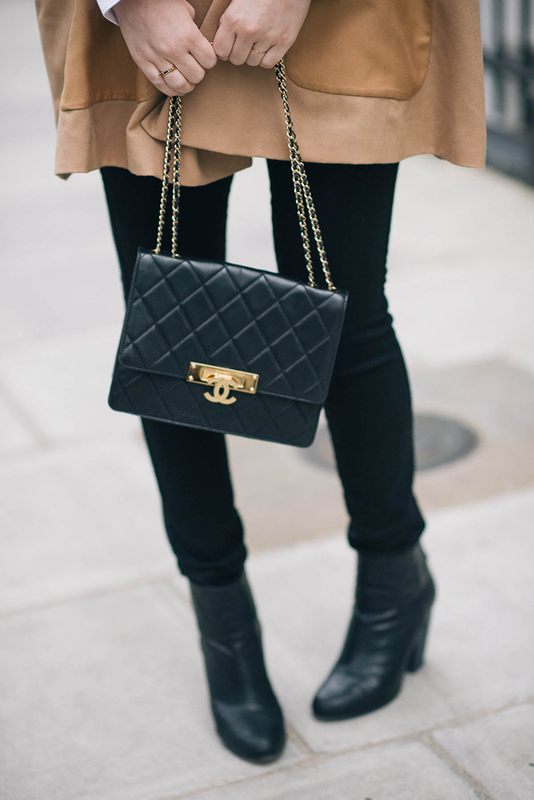 I cannot get enough of black and camel lately. Gorgeous pairing. yes to everything about this look! Obsessing over this gorgeous cape!! Perfection! 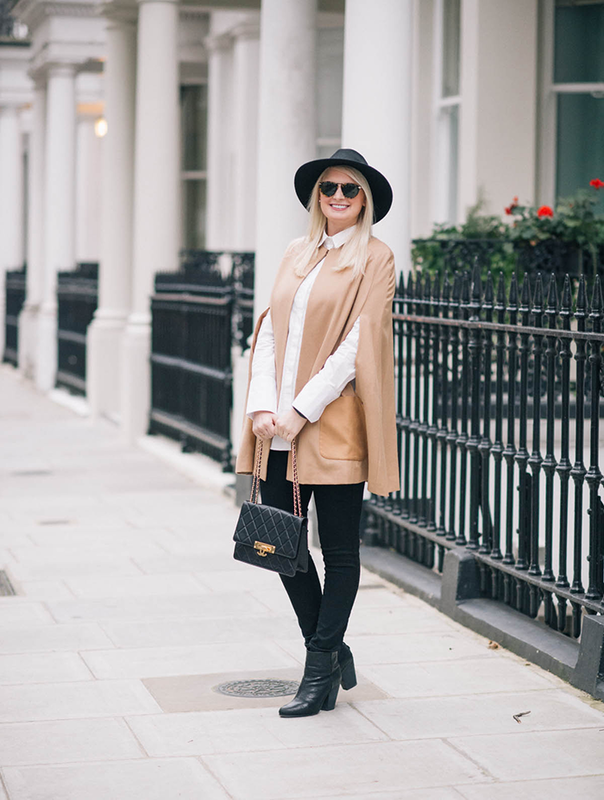 You were totally the first blogger to get a cape (#trendsetter)!! And you’re still rockin it! 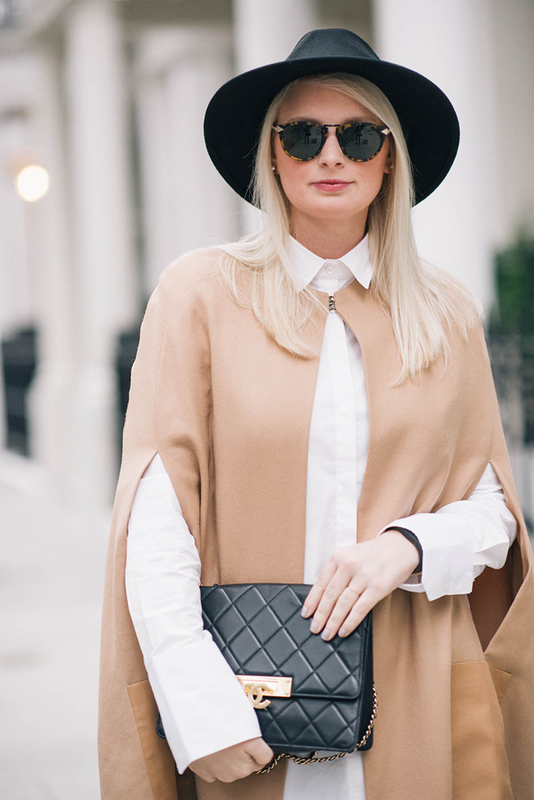 There’s no need to apologize for wearing such a beautiful cape more than once on the blog. It really is such a lovely piece, and it looks amazing with that outfit. This look is incredible! 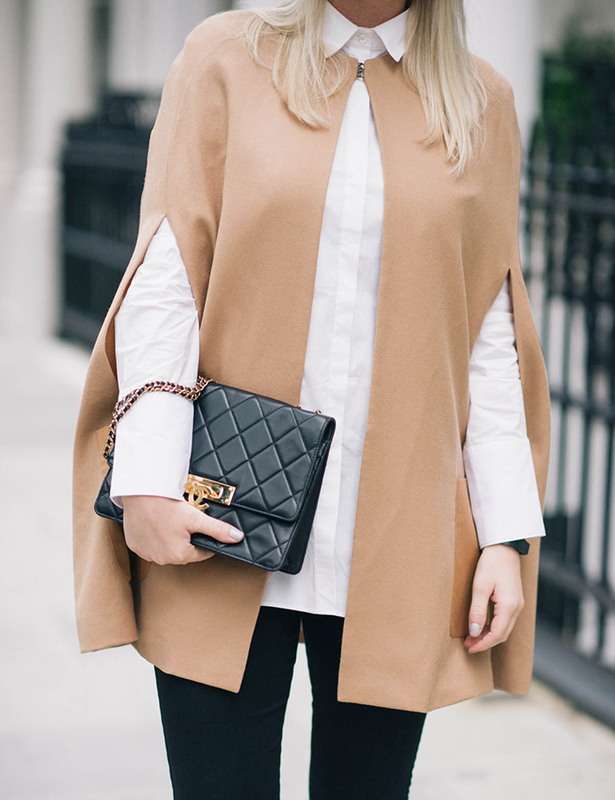 The cape is so chic and classy and I love the simpleness of the rest of the outfit. You look amazing in that hat too! Looking super chic as always! Totally obsessed with that hat. Have a great weekend, Merritt! In love with that cape! Impeccable style! This look screams London! If I had that cape I would wear it everyday.